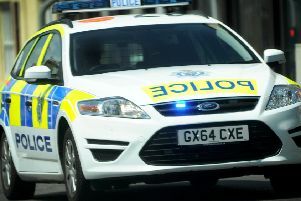 Police are warning Bexhill residents to be on their guard after reports of a bogus caller in the area. A Sussex Police spokesman said the caller gained entry under the guise of a waterboard official. The suspect is described as a tanned male with a beard, 30-40 years old, 5ft 10 wearing a black coat, dark scarf and hat. Police said the man is distracting victims when they open the door, and then stealing from them. Sussex Police offered some examples of excuses bogus callers often use to gain entry, including: ‘I was passing and noticed your roof needs repairing’, ‘I’m from the police, can I come in and talk to you?’, ‘We have lost our dog, can we use your phone?’, and ‘I’m from the waterboard, there is a leak in your street’. The force also offered advice for people who may encounter a bogus caller. A police spokesman said: “Doorstep criminals will use excuses to enter your home to steal, or charge inflated prices for “repairs”. “Lock all doors. Distraction burglars working in pairs will use the back door while you are kept at the front door. “Not sure? Don’t open the door. It’s okay to say no and tell them to leave. Always keep the chain on if you need to open the door. “Ask for ID or a password. Bogus callers will often use a good fake ID. Genuine callers won’t mind if you take the time to establish their identity by calling their employer.